"Slow-tempo pace compliments the strings and vocals"
"Kingston" is an infectiously relatable modern indie folk pop track from Atlanta-based singer-songwriter, Faye Webster. 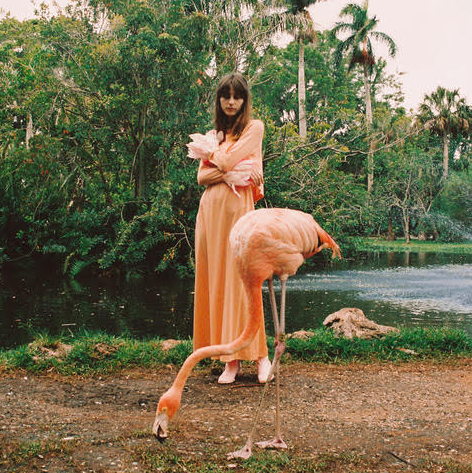 The single has been released in line with an incredible accompanying clip, which contained a blushing tangle of flamingos and lush palm trees. The slow-tempo pace compliments the strings and vocals as Faye wastes no time saying what's on her mind from the very start. Faye Webster's vocals are hauntingly beautiful as they lead the way through this celestial track. The track also contains an adventurous nature to it which really draws the listener in from the very first listen. "Smooth vocal sounds and the beats with a little bit tropical scents"
"Cuco started blowing up last year with this single." "Acoustic music that simple with traditional Sundanese ethnic"
"There's something interesting about this that i couldn't resist"
© 2018 Indie Accent. All Rights Reserved.